BBC World Service brings you a special day of programming on 29 February to celebrate 80 years of international radio broadcasting. We’ll begin the day with a live broadcast of the daily news meeting– which usually takes place behind closed doors – a meeting of all the language service and English news heads who decide the day’s news agenda. Other highlights include an audience with naturalist and broadcaster Sir David Attenborough; writer VS Naipaul will be talking about his time at BBC World Service with the Caribbean service and music producer William Orbit will be guest editing our arts programme, The Strand. Listen out for topics such as entrepreneurship in Africa, the future of international broadcasting, and the amazing abilities of an athlete’s body. Throughout the day, you’ll be able to watch video clips of guests and staff around our current headquarters, Bush House. We’ll also be asking you to put questions to guests and BBC World Service staff via clickFacebook, so join us if you can. 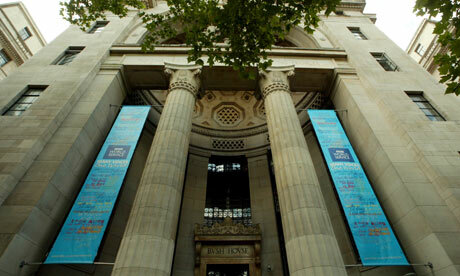 clickFor full details of Bush House Inside Out, check out the schedule. This entry was posted in Broadcasters, News, Nostalgia, Radio History, Shortwave Radio and tagged BBC Bush House, BBC World Service, BBC World Service 80th Anniversary, BBCWS, Shortwave Radio on February 29, 2012 by Thomas. I just stumbled upon this fascinating history of the CIA Foreign Broadcast Information Service and thought SWLing Post readers might enjoy browsing it as well. This is a history of the early, pre-CIA, years of the Foreign Broadcast Information Service. It was published with a classification of “Confidential” in 1969 and fully released to the public by the CIA’s Historical Declassification Division in 2009. This entry was posted in Articles, Books, Broadcasters, Radio History, Shortwave Radio and tagged Central Intelligence Agency, CIA Foreign Broadcast Information Service, Foreign Broadcast Information Service, History of the Foreign Broadcast Information Service, Shortwave Radio on February 28, 2012 by Thomas. Ken Reitz, Features Editor for Monitoring Times magazine, has published a new eBook called, “Profiles in Amateur Radio.” It features stories and biographies from a lengthy list of radio personalities/figures (including yours truly!). A common theme in many of these personal radio histories is an interest in amateur radio that was built on a foundation of shortwave radio listening. “Profiles in Amateur Radio” is a collection of nineteen articles taken from the First Person Radio series that appeared over the last three years in Monitoring Times, a national monthly magazine about all things radio, now in its 32nd year. It’s a three part look at the inspirational life stories as told in the words of those on whom shortwave and amateur radio has had a lifelong impact. The book is edited by Ken Reitz KS4ZR, a freelance writer since 1988, Features Editor for Monitoring Times, and author of the Communications and Beginner’s Corner columns which appear monthly in the magazine. This entry was posted in Books, Radio History and tagged Amazon Kindle, Ken Reitz, Profiles in Amateur Radio, Shortwave Radio on February 26, 2012 by Thomas. 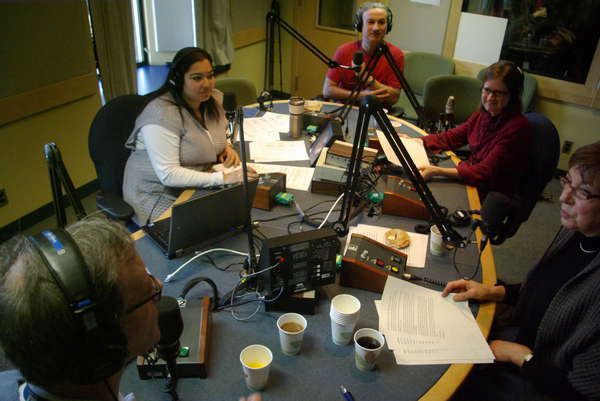 I believe it was in the fall of 2007 that I first tuned to the enlightening CBC Montreal program, All In A Weekend, with host David Bronstetter. Unlike listeners in Montreal, or anywhere in the province of Quebec, for that matter, I didn’t hear the show on FM radio, nor streaming over the internet–it was on a shortwave radio. 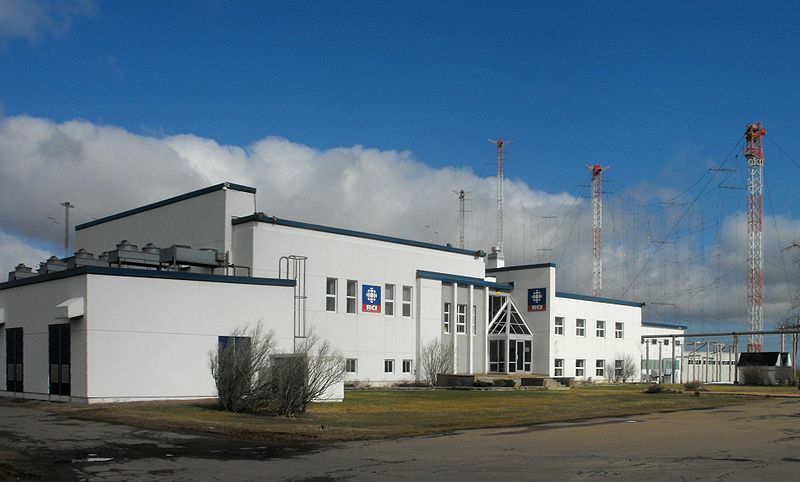 You see, each Saturday and Sunday morning at 7:00 EST (12:00 UTC) Radio Canada International turns on a shortwave transmitter at their Sackville, New Brunswick site, and broadcasts CBC Radio One Montreal programming on 9,625 kHz for North Quebec. They’ve done this for years. That means that many of us south of the Canadian border can catch the “back side” of this broad signal quite easily. When I first heard All in A Weekend, I was favorably impressed by the program’s host, Dave Bronstetter. When I landed on his voice the first time, he was in the middle of an interview, and even in that brief interval of tuning I could tell that this was an insightful interviewer. Returning to hear the following half-hour segments of the show, I learned that his keen intelligence was manifest not only in intimate, articulate, and adaptive interviews with his guests, but also in an absurd wit. From that day forward, I joined thousands of Quebec listeners, right here from my home in the southern US, as we tuned in All In A Weekend. Dave and his Montreal crew became my weekend morning coffee companions. In my many years of listening to radio, I’ve heard hundreds of hosts from around the world, but this guy stood apart. Dave Bronstetter’s hosting was fueled by a quick wit, which he wove into his interviews with an eloquence that would make any comic green with envy. Moreover, this fun, catch-’em off-guard approach resulted in better interviews with his diverse guests, all excellent listening, such as with famous jazz photographer Herman Leonard, singer Emilie-Claire Barlow (and many other Canadian artists like her, whom I’ve since learned to appreciate), and a stand-out interview with a Palestinian that I haven’t forgotten, nor am likely to. And more than once, while reporting weather, in the midst of listing all the towns and cities across the vast province of Quebec, Dave slyly inserted the tiny town where I then lived. This always made me start, and brought a chuckle. Of course, I couldn’t help thinking that this caught the attention of many other listeners, too, but leaving them scratching their noggins–Sylva, Quebec? Where on earth’s that–? How could Dave have known about Sylva? Well, he interacted with his listeners, and I was no exception. It didn’t matter if listeners were sending him a compliment or complaining about the fact that he was reading off the wind speed in Baie-Comeau and Kuujjuaq, he paid attention. I would dash off an email to request songs, play along with his contests, or brag about our lovely Southern-states weather when Montreal was having a brutally chilly day. Many of my emails were sarcastic, and Dave’s rebuttals, two-fold. Once, Dave actually made a call to my home in Sylva and interviewed me on the air. A couple of days prior to the interview, he called to ask my permission and to, well, just chat. We probably talked for an hour–even in that casual conversation, I noted his interviewing talent: I felt like I was talking with an old friend, one who understood me and appreciated my offbeat sense of humor. Many times while listening to All in a Weekend, I reflected, this is what I love about radio. The footprint is vast–it jumps national borders with ease, and offers an instant level of interaction that’s hard to replicate even in our internet-driven age. To my dismay, Dave recently announced that he was retiring after 33 years with the CBC. Last Saturday’s show was his last. At least, so he says. Regardless, I can tell you this: I will miss my buddy, Dave Bronstetter, on the air. I know of no replacement, and I can only imagine how difficult it may be for the charming Sonali Karnick to follow his tough act. I hope it will be by carving her own unique personality into the show. That’s what gave the unassuming All In A Weekend its moxie in the first place, and drew me in regularly to listen. My hat’s off to you, Dave; may you enjoy whatever you do going forward. You are unquestionably one of a kind. And please–keep in touch! This entry was posted in Articles, Broadcasters, News, Shortwave Radio and tagged 88.1 Montreal, 9625 kHz, All In a Weekend Dave Bronstetter, CBC Radio One Montreal, CBC Radio One Montreal All In A Weekend, Dave Bronstetter, David Bronstetter, RCI, Sackville NB, Shortwave Radio on February 24, 2012 by Thomas. Can you identify this radio? SWLing Post reader, Kim, wondered if anyone could identify the make and model of the radio (pictured right) which had been modified to contain a bomb. 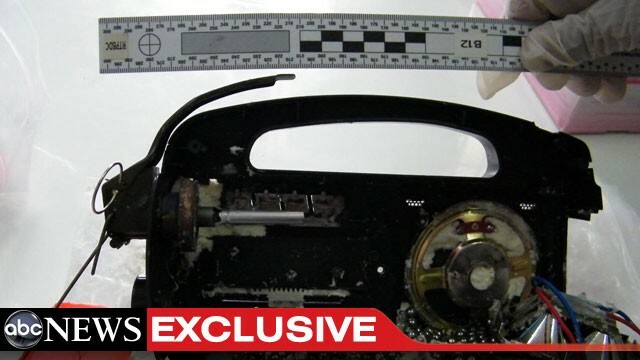 Terrorists used these devices recently in Thailand. ABC News featured an article and video about the attacks, but I’ve seen little about the make/model of radio that had been used. Update: See JW’s comment below–this is an EPE model FP-103U. This entry was posted in News, Slightly Off Topic and tagged ABC News, Radio Bombs, Thailand Radio Bombs on February 23, 2012 by Thomas.